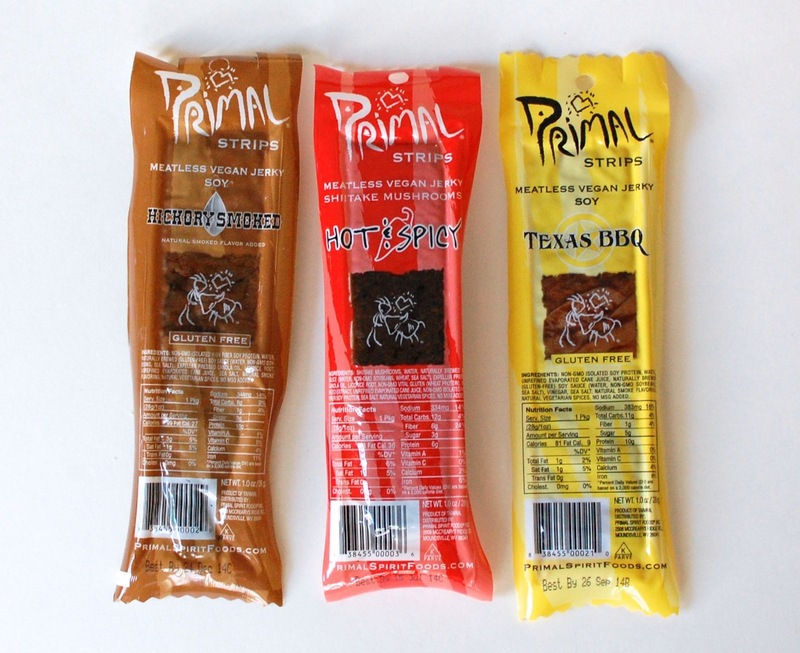 Primal Strips by Primal Spirit Foods are 100% vegan, meatless single-serve jerky strips that take the fear out of jerky. No gross animal bits in these guys! 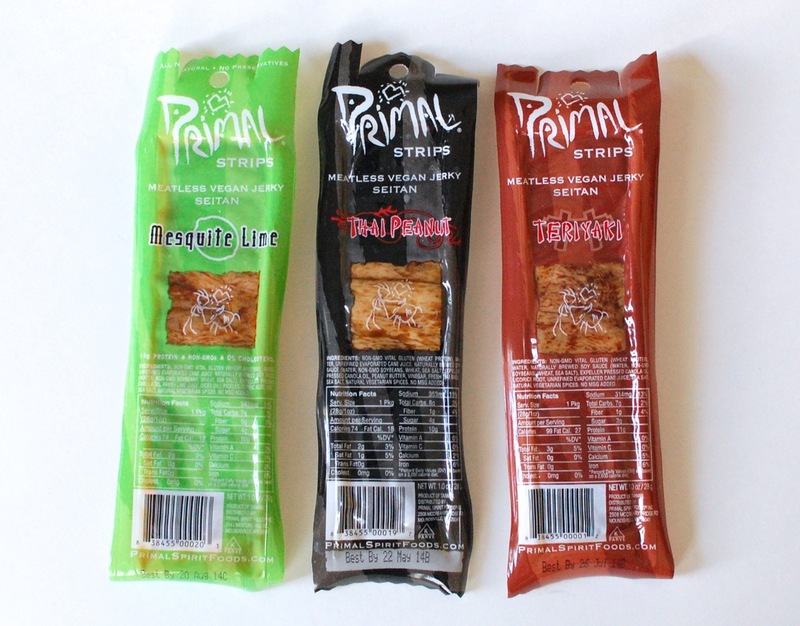 Primal Strips are all-natural, low fat and made with non-GMO soy beans. They have 10 grams of protein per serving and zero cholesterol. 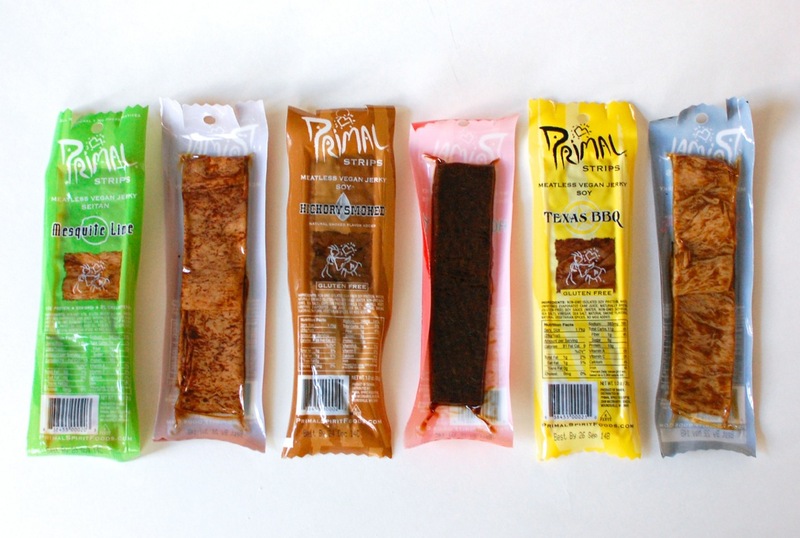 I was recently sent a sample pack for review in each of their 6 flavors. Hickory Smoke, Hot & Spicy, and Texas BBQ. Mesquite Lime, Thai Peanut, and Teriyaki. The texture of these strips is so meat-like, it’s almost scary. They’re made with seitan and have a very tender, chewy texture that pulls apart easily. All of the flavors were good, but I’d say my favorites were the Hickory Smoked and Texas BBQ. 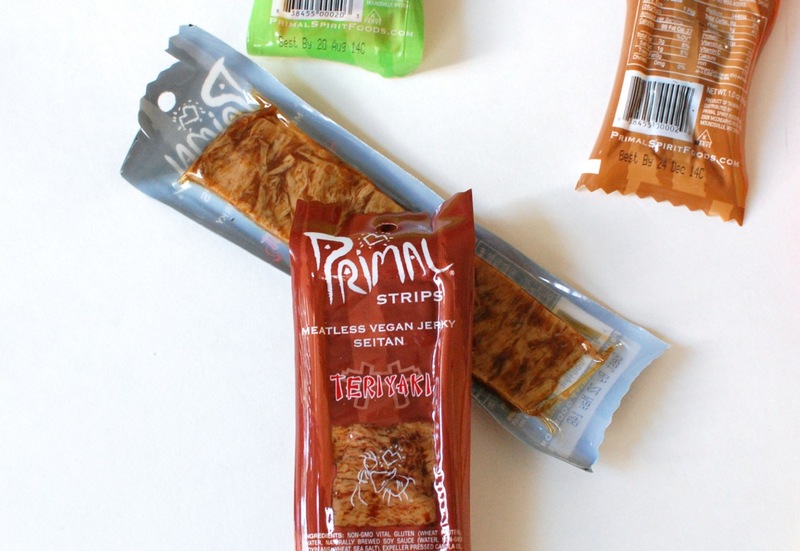 Primal Strips make a great mid-day snack when you’re craving a little protein and want to grab something fast and easy. You could even warm a few of ’em up and make a seitan sandwich. — Maybe use the Hickory Smoked with some lettuce and tomatoes for a BLT (minus the B). Yum! Disclosure: I received these products for review purposes. I was not compensated in any way. All opinions are my own.